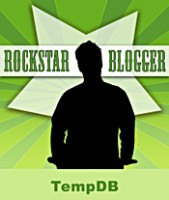 Recently a number of DBA’s were interviewed for an Article/Blog for the odinjobs.com website. I was one of the DBA’s that they picked to Interview along with Cristian Lefter, Andrew Fyer, Namwar Rizvi, Denny Cherry, Brian Kelley and Pinal Dave. 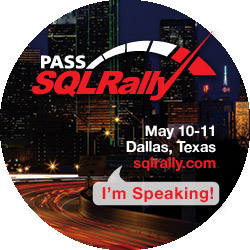 Along with Brent Ozar who will be speaking at this falls SQL Server SSWUG V-Conference. There was a number of really interesting questions asked about everything from where we believe our careers are going to what frustrates us the most as DBA’s. There was some focus on different types of DBA’s and how we are starting to see some areas of SQL Server requiring specialists to really implement to the fullest extent. If you would like to see the three part interview check out this link. While you are there you can take a look at what Job’s may be open in your area and even post your own live resume. Many of you may know already but I like to spend time looking at the management of staff and how to find the best job for you as a DBA. A number of my articles on www.SSWUG.org are writing in that direction. I was talking this over with a friend of mine not to long ago, a co-worker and my wife. I find in interesting how people 20 to 30 years ago would find a job at 20 years of age and they would be with that company forever, they would retire there. I can not tell you how many people I know that remember that time in our history. Yet today it seams like people spend a year or two and a job and leave. I expect this of contractors that is what they do. They come in and work for a project and leave. I have done contract work like this and I am not saying this is bad at all, this is just what they like. I am just surprised on why this is like this with permanent staff anymore. Maybe its because of my background. I was in the Marine Corps where we were taught that we did not have a personal life. We shared everything with our higher ranked Marines. Think about it, I would not want to go into battle with someone who just got a dear John letter if I knew this guy or girl was heart broken. In time of war you need to know the person next to you is solid, and the mind is in the right place. When I left the Corps it was a big change for me. I learned quickly that my boss did not care what was going on at home, or if we had a family outing that I wanted to go to. They wanted to make sure that I was there when I was supposed to or I was sick. I spent years talking about personal information with my boss, and didn’t realize he didn’t care. With that as my history it really makes me thing about why people stay for such a short time at companies. It pretty rare to hear someone has been at their company for 20 years. Is it that companies don’t treat the employees like the should, is it the fringe benefits like a Christmas ham? I know that at one point in time I had to hire a DBA. The market was over flowing with DBA’s and the company did not have a lot of money. I interviewed a candidate that I felt had the right skills and would grow nice into the position. The employee ended up being a great DBA. Someone who learned a lot real quick, with in a year I would say he was a solid Mid level DBA and should be making money that equaled that. This made me realize very quickly that if I did not get him a raise, he would be gone and soon. The company had a policy that kept me from giving him more then a certain percentage. So even if I got him the max amount of money he would have still be way underpaid. He did end up leaving the company and took a lot of knowledge with him. When the company replaced him it was for someone who cost what I should have been paying him in the first place. I guess in short I don’t think that companies treat the employees as well as the use to and I don’t think people have that loyalty because of it. Everything is about the numbers. I am old enough to remember going to Vegas and getting comps for everything, heck you are lucky if you get a buffet now a day’s. Anyhow, just thinking out loud again, maybe we as owners start treating our people better then we may keep them longer, but its hard to start that trend if you invest time as an employer into someone who may leave you in 3 months. I remember when the MCSE test came out and a major company offered to send staff to training to get certified. The company was treating the staff well, but did not raise their pay. In turn you now have educated staff that was ready to make 10k more a year just by changing jobs. How do we change this pattern and do you think we need to? I think we should. I would think that my life would be so much easier if staff that created applications and databases where at the same company 10 years later.